These photos were taken on Sunday night October 16, 2016 shortly after midnight. 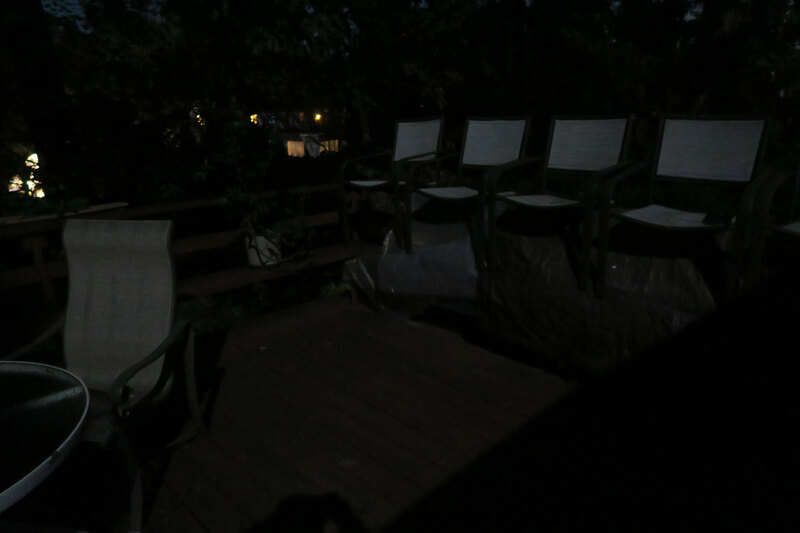 The location was on the back deck of my house in Bethesda, Maryland. The "Take It!" came from my getting up in the middle of the nigh and thinking I may have left the back light on. 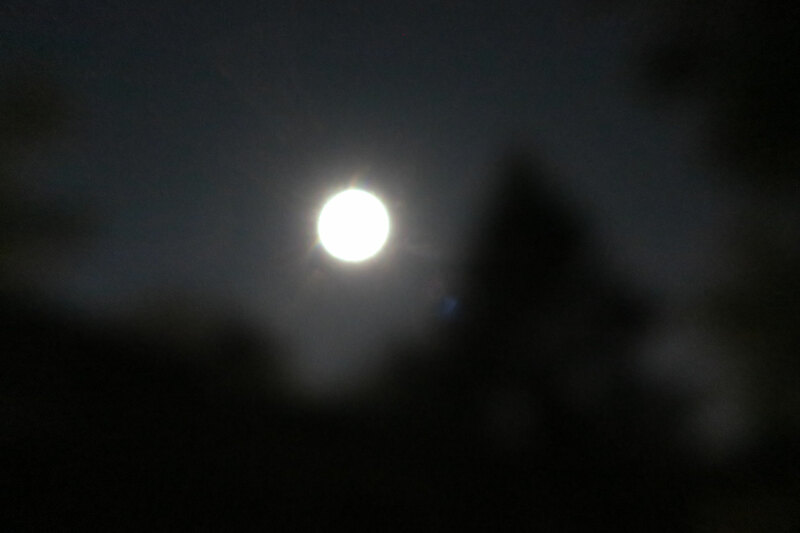 I checked and found that it was the brightness of the moon. 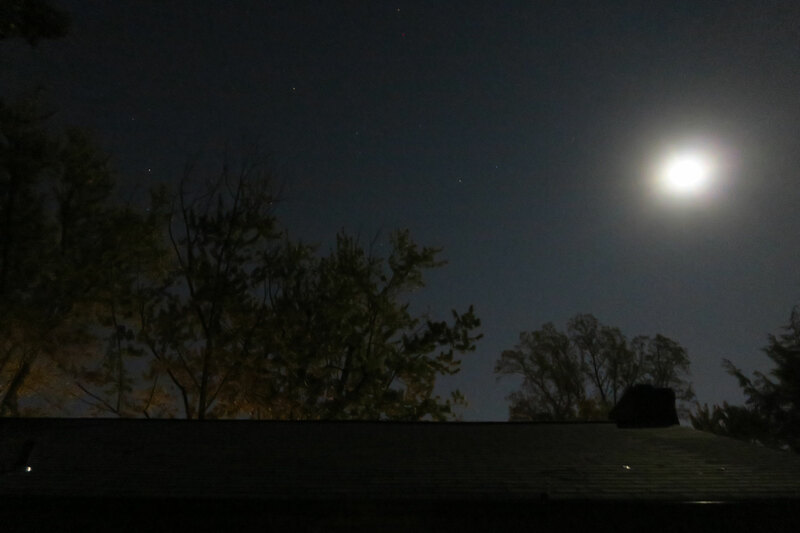 I grabbed my camera, and a light jacket and went outside to see if I could capture a bit of this. 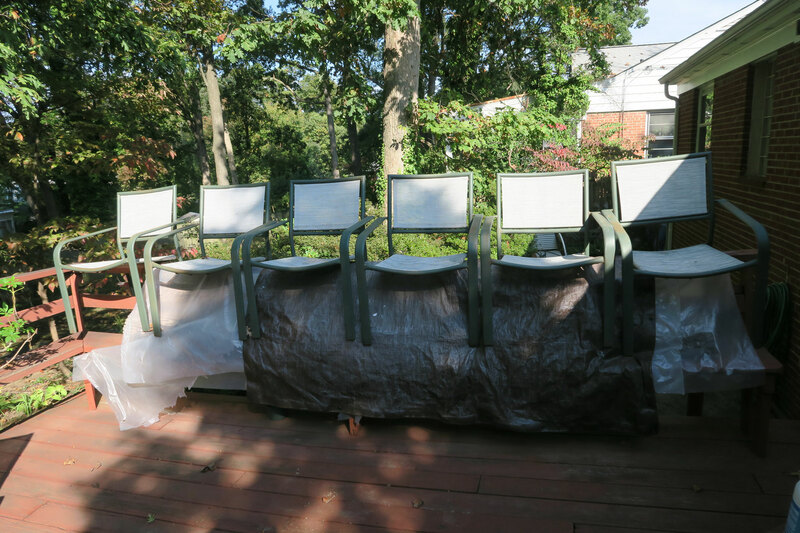 The After Take: The chairs are up on the railing of the deck to help protect some woodbit of that I am aging for a project. The tree that is in the photo of the roof line on the left side, is going to be cut down as has some systemic rot that makes it dangerous. I hope you all enjoy this sample of moonlight play at my house. There is just something extra wonderful about knowing our entire planet is having the opportunity to share this experience if they have a clear sky. Remember those forts we used to build as kids? Your "wood protection chamber" reminds me of those. I'm not sure why my memory was drawn to that of all things. That is one REALLY bright moon. I would have thought it was my porch light too. Wow I mean, who needs a light when you have illumination like that. I mean you could host a gathering out there with nothing but moonlight. Its pictures like these that really just leave me speechless. Our planet is filled with such beauty. Great picture you guys! Incredible. It always seems to be cloudy or too well lit here for us to get illumination like that.